Compared to the conventional hatchbacks the Qashqai was up against, it really was a breath of fresh air in the segment. Ever since, rival manufacturers have done their best to catch up, but the original is still one of the best. Before the Qashqai arrived in 2007, Nissan was struggling with the possibility of no replacement for its Almera and Primera models. Still, the introduction of the junior SUV soon changed its fortunes, and the firm is credited with inventing the crossover segment. 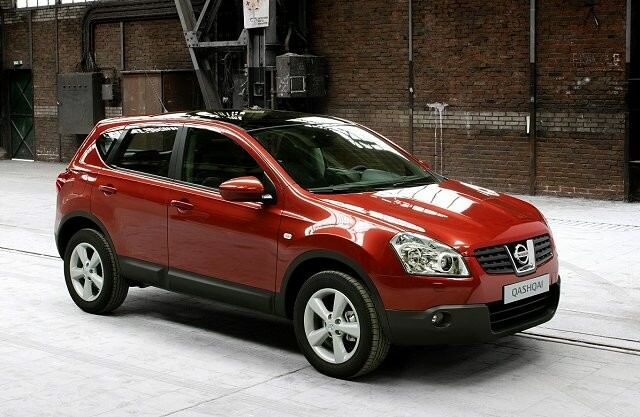 In 2009 the larger Qashqai+2, with its extra pair of seats, was unveiled, and has helped the Qashqai to become the firm’s best-selling model. Despite its rugged styling, the Qashqai isn’t just available with four wheel drive – there’s a range of front-wheel drive models as well. The latter were cheaper when new, but thanks to a cleverly designed four-wheel drive system there’s no real penalty to pay in terms of economy or efficiency. And though it won’t rival a Land Rover Defender across the Amazon, it proves sufficiently capable for most people’s uses. Still, even the front-wheel drive models prove to be handy, still boasting a raised ride height that makes it adept at coping with rough or rutted tracks. And the fact that you don’t need to lower yourself into the car makes it ideal for families with children, or even those at the other end of the age scale. The larger +2 model offers even more practicality though, and to many people’s eyes looks better as well. There’s a vast array of trim levels to choose from, starting with the XE and ending with SVE specification – even the basic models come with alloy wheels, Bluetooth, air conditioning, cruise control and six airbags. However, only the range-topping 2.0-litre diesel comes with ESP as standard – otherwise it was a €300 option when new. If you want the CVT automatic gearbox then your engine choice is limited to the firm’s 1.6-litre petrol – the only diesel automatic is the 2.0-litre diesel with four-wheel drive. Equally good is the six-speed manual, and along with the light controls, accurate steering and good visibility it makes the baby SUV surprisingly easy to drive – even around town. For those craving practicality it’s the Qashqai +2 that makes the most sense, but there’s less available on the used market. In truth, it’s the standard model fitted with the 1.6-litre or 2.0-litre diesel engine that is the best buy. The former, introduced at the start of 2012, has more power and better economy than the 1.5-litre dCi it replaces – though was only available with four-wheel drive initially. Compared to the conventional hatchbacks the Qashqai was up against, it really was a breath of fresh air in the segment. Ever since, rival manufacturers have done their best to catch up, but the original is still one of the best. A spacious cabin, chunky looks, car-like driving experience and high standard equipment list mean it still boasts plenty of appeal – especially on the used market where there are some real bargains to be had.